Pineapple Chunk is an hybrid that induces heavy full-body effects and a fast-paced head buzz. This THC-rich strain combines a Cheese and Skunk #1 cross with Pineapple, and you can almost smell its lineage through sour notes of tangy skunk, earthy cheese, and sweet pineapple. 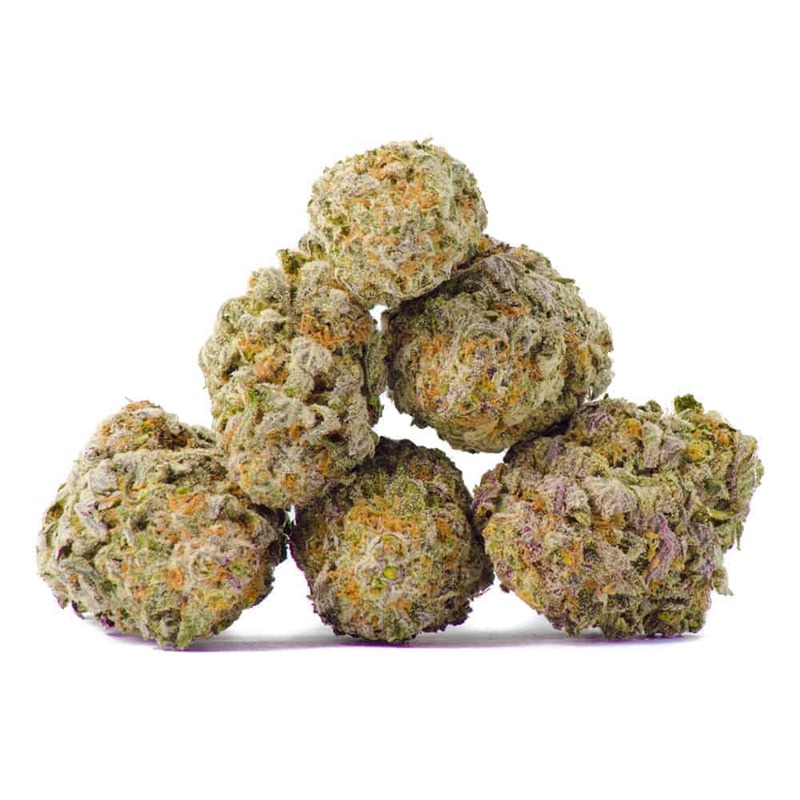 Optimally, Pineapple Chunk will deliver a small dose of CBD with its crushing THC content, resulting in powerful pain killing and stress-relieving properties. Some report a racing jolt of cerebral energy with Pineapple Chunk, so this may not be the best strain for treating sleeplessness or anxiety. 1 review for "Pineapple Chunk – Hybrid"
Pretty potent strain without being overwhelmingly crushing. Still a nice intense strong buzz that lasts for quiet a while, a real bang for your buck. Can be used in the daytime or night time just as well, and is very smooth taste wise so no big bouts of coughing when inhaling this, highly recommended.